Coastal dunes with Juniperus spp. RES MARIS is, once again, an example of good practice among European projects. 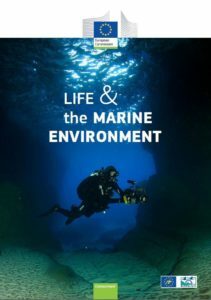 After being included in the 2017 “LIFE and coastal habitats” brochure, thanks to the actions carried out to improve the status of the European coastal habitats and the management of the Natura 2000 sites, here we are again in 2018 in “LIFE and the marine environment” for the activities aimed at reducing the presence of the invasive alien algae Caulerpa cylindracea (see page 37). 20 November 2018 in news.